The “Port of Diélette” is at 30 miles from the South of Cherbourg. 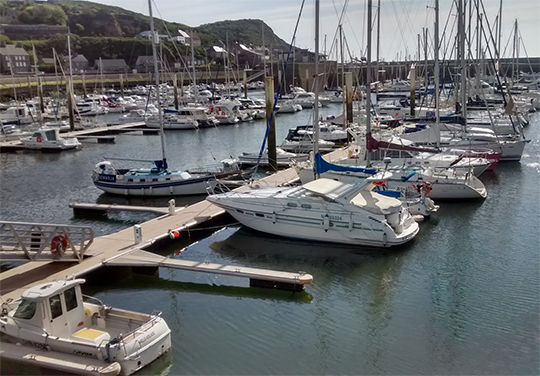 The port ideally faces in the Channel Islands: to 12 miles of Alderney, 28 miles of Guernsey and 36 miles of Jersey. The por was modernized and enlarged in 1996, a new constructed dike which shelters a marina of a capacity of 460 places, dredged in a depth of 2,50m and of 1,50 m in its southern part. The “Port of Diélette” is in 370km from Paris. You will need approximately 4 hours to reach Diélette. You take the car ? It will cost you approximately 18€ of tolls. 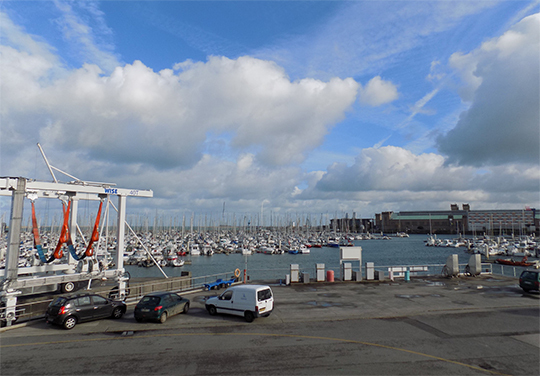 The “Port of Cherbourg” in the North of Corentin is in front of Anglo-Normandes islands and England. A port of deep water (13 metters minimum) the biggest artificial rade of the world, open 24/7, a direct access without lock to the various platforms. The “Port of Cherbourg” is at 360km from Paris. You’ll need approximatively 3 hours and 30 minuts to get there. You prefer car ? Highway will cost you 18€ with tolls.